Anastasia Loukaitou-Sideris has spent a career researching the city of Los Angeles — from its physical aspects and aesthetics to its meaning and impact on those who live there. 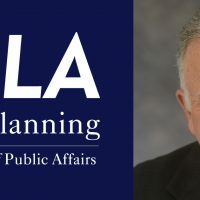 The professor of Urban Planning and associate dean at the UCLA Luskin School of Public Affairs will now help lead and plan the future of education for graduate and undergraduate students at UCLA. Loukaitou-Sideris, a UCLA Luskin faculty member since 1990, has been named UCLA’s Associate Provost for Academic Planning by Scott Waugh, UCLA’s executive vice chancellor and provost. 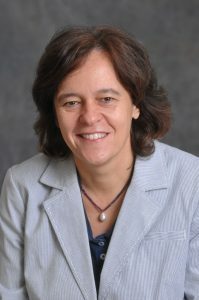 “Her administrative experience, expertise in planning and understanding of communities and complex organizations will make her a tremendous resource in this position,” said Waugh, who cited Loukaitou-Sideris’ vast experience as an academic leader and as a consultant to several organizations including the Transportation Research Board, the Federal Transit Administration, the Southern California Association of Governments, the Los Angeles Neighborhood Initiative and the Greek Ministry of Education. For Loukaitou Sideris, the new post is both a privilege and a challenge. 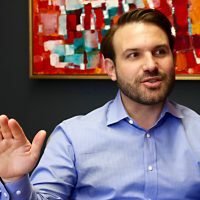 One of her major tasks will be the development of a strategic plan for the whole campus for the next five to 10 years, Loukaitou-Sideris said. 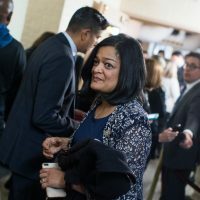 “We are going to establish task forces on certain issues and themes, and, these should be very inclusive in the sense they are going to have members from not only faculty and administration but staff and students,” she said. Loukaitou-Sideris said the challenge would be to make sure that the process represents the aspirations of these groups as well as alumni. 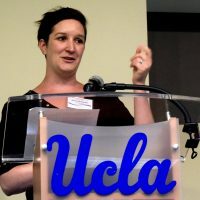 Another significant effort that she will lead will be looking at instructional space at UCLA: “What the needs are, what do we need to do to bring the University into the 21st century in regards to classrooms and labs, but also in terms of what developments in online education may mean in terms of space. 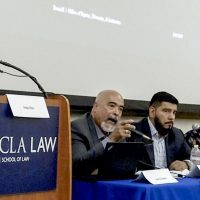 Basically, how could UCLA provide the best possible space to accommodate the changing educational and teaching needs?” A committee of deans, vice chancellors, students and staff has already been created to study this issue, she said. 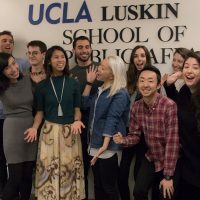 Loukaitou-Sideris explained that a first-tier university like UCLA — a top 10 university in the world — should have a plan for its future. “We do need to have a guide, for everyone who is a part of this community, as to what we want to focus on in order to have educational impact, research impact, global and social impacts and how these relate to innovation,” she said. Loukaitou-Sideris said she plans to meet with every dean on campus as well as key administrators and academic leaders to hear their thoughts and to review and build on their unit’s strategic plans. Loukaitou-Sideris, a core faculty member of the UCLA Urban Humanities Initiative, has published more than 100 articles and chapters, and has co-authored or co-edited five books, most recently “The Informal American City: Beyond Taco Trucks and Day Labor.” Her research has been funded by the California Department of Transportation, the California Air Resources Board, the California Department of Parks and Recreation, the Andrew W. Mellon Foundation, the John Randolph Haynes Foundation, the Rosalinde and Arthur Gilbert Foundation, the Archstone Foundation, the Mineta Transportation Institute and the AARP. She has also conducted academic reviews of units at several universities, including UC Berkeley, the University of North Carolina at Chapel Hill, University of Colorado, Boulder, the University of Toronto, University of Auckland New Zealand and National Technical University of Athens.